Fishing for redfish, or red drum, in Louisiana has been a favorite pastime for many anglers over the years. Although Louisiana is known as one of the best destinations for fishing charters, which includes deep sea fishing for yellowfin tuna and other game fish, many fishermen in Louisiana like to fish inland for the smaller fish. 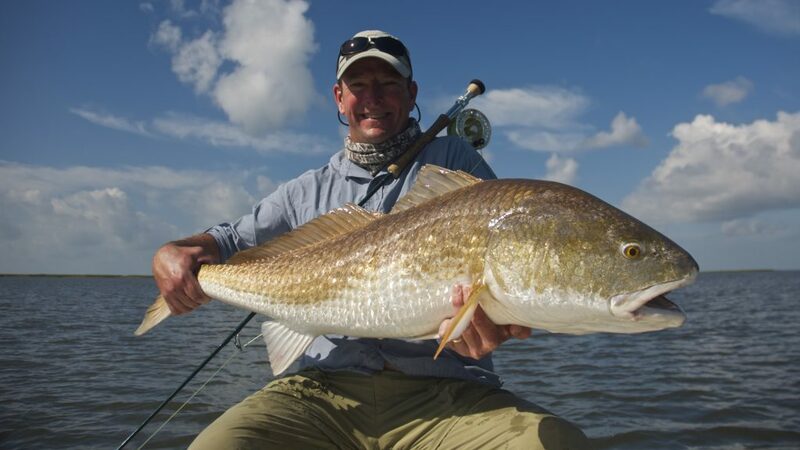 There are tons of options for Louisiana fishing, but Redfish is a local favorite. Redfish – what can you keep? Each fisherman is allowed to keep up to five redfish per day. The minimum size limit for redfish is 16 inches, and the maximum is 27 inches. However, one of your five can be over the 27 inch mark—these are called Bull Reds. So what do you need to catch a redfish? Use the local birds to your advantage. Wading birds, like egrets and herons, can help you spot shallow water from a distance. Use either a high pound test fishing line, or braided line. Redfish are known for fighting back, and you don’t want to hook a big one, only to have the line snap before you get him in the boat. Also make sure you’re using strong hooks. Redfish have very hard mouths, and many hooks will bend easily. In shallow water along the edge of marsh grass, use a topwater lure. Redfish often troll around searching for baitfish, like mullet, in the shallows waters. If he’s big enough, you might even see his tail or fins poking out the top of the water. Use a spinnerbait in the grassy, brackish waters. The flashing and vibrations from the spinnerbait are likely to attract fish. Try your best to find clean water. In Louisiana, it’s probably never going to be clear—but it can be less muddy and dirty in certain places. In the small bayous, inlets, and ponds, use plastic jerk baits, like cacahoe minnows. These are typically very realistic looking and can easily fool a redfish. Keep a constant lookout for signs of feeding fish or nervous bait. Redfish cruise grassy shorelines to ambush bait or dig crustaceans off the bottom. Bait fish are often found in the current. And where bait fish go, redfish go. Redfish love live bait…usually. There is no one bait that will work every single time you go fishing. However, redfish very often will bite for shrimp, minnows, and small crabs. In deeper waters with little grass, topwater lures are best. If you don’t hook your fish on the first try, keep the bait in the same area. A redfish is likely to strike again. Sometimes you just have to let the Redfish wear itself out. Like mentioned, redfish are fighters and they will make a run. Make sure you’ve got the proper drag settings on your rod, and are ready for a fight. But sometimes so as to not break the line, it might be best to let them run before trying to reel them back in. Redfish can be fished year-round in the marshes of Louisiana. Once you find a spot, give it a good 15 to 20 minutes. After that, if you’ve had no bites, it’s best to move on. Even if conditions seem perfect, there aren’t always fish there.